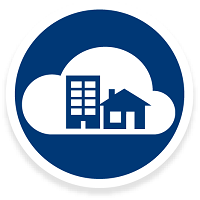 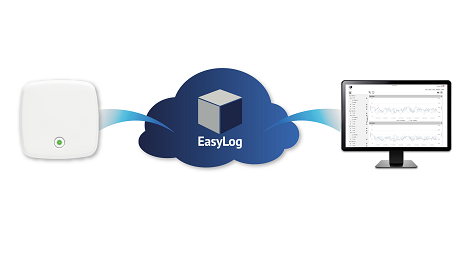 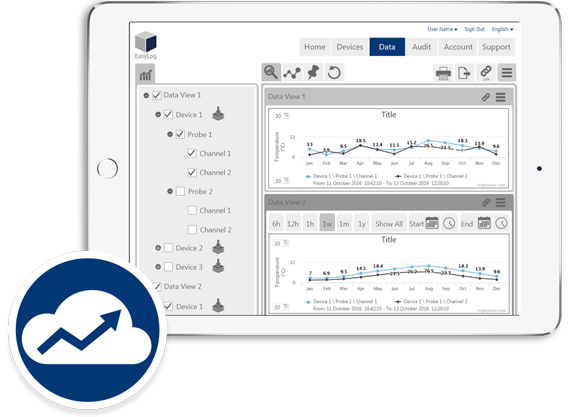 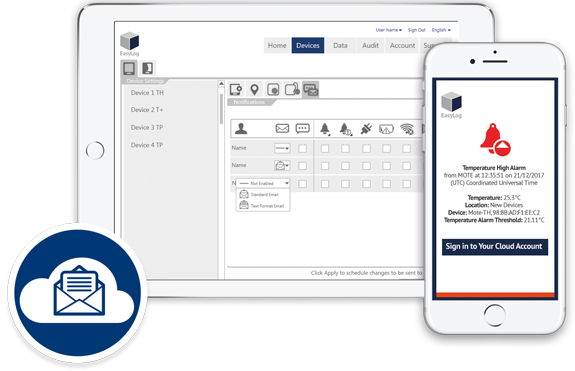 Securely store critical data logger records on the EasyLog Cloud, indefinitely. 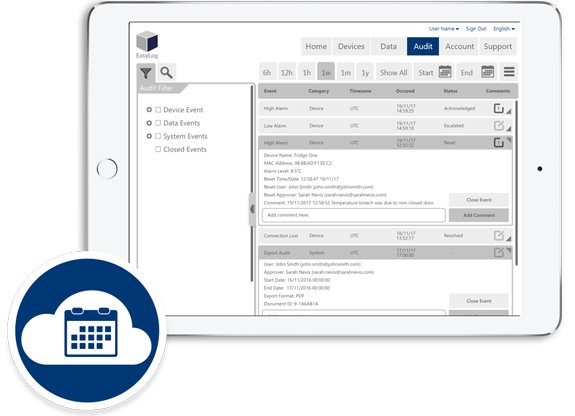 Set up multiple account users, with assigned access to specific locations and system functions. 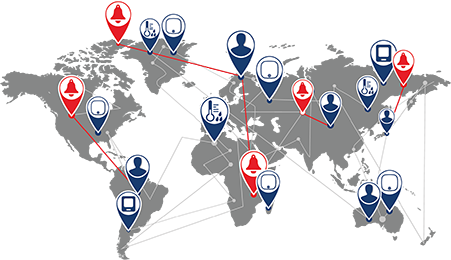 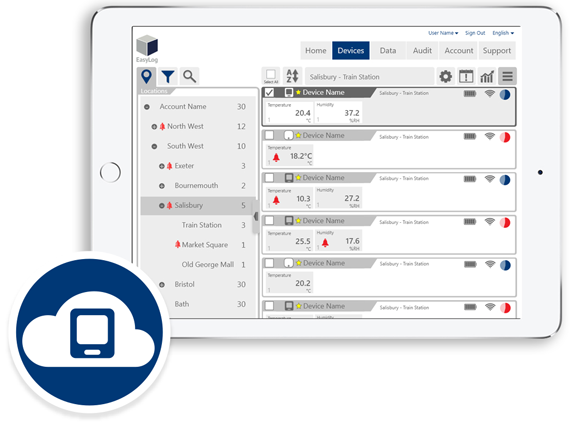 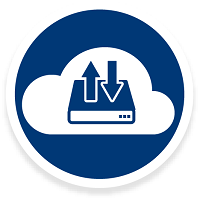 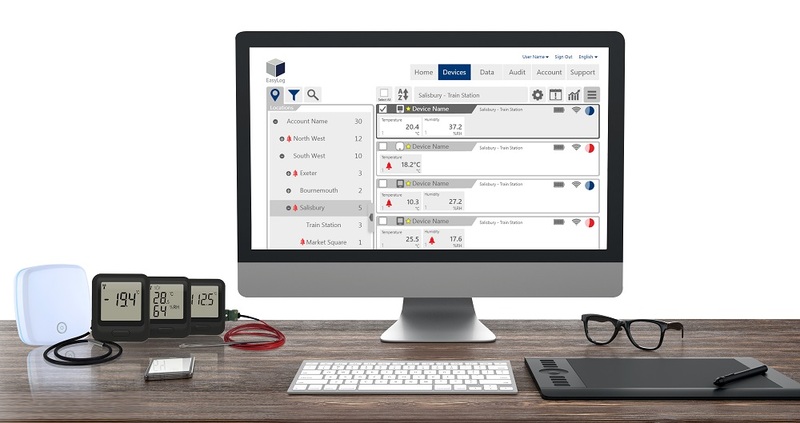 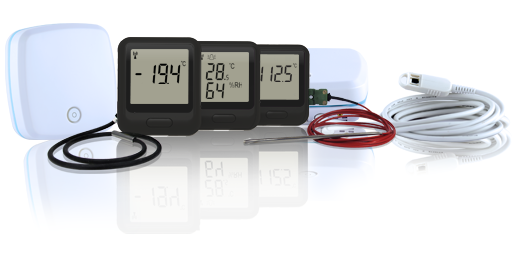 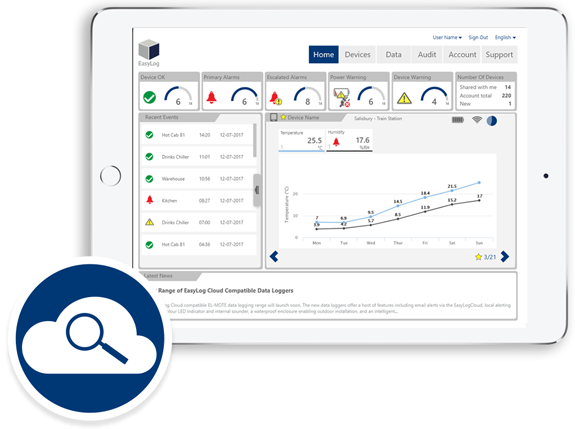 Monitor data logger information from multiple sites on a single EasyLog Cloud account.